In Atlanta a network of local emergency services and emergency rooms work together to get the jump on heart attacks, taking care of EKG in ambulance and transmitting to emergency departments in advance. Emory University researchers have found that the use of observation units in hospital emergency rooms could not only shorten patient stays and decrease inpatient admissions, but could save the health care system approximately $5.5 billion to $8.5 billion annually. The findings are being published in the December issue of the journal Health Affairs. Many patients who seek emergency room or emergency department (ED) treatment are not well enough for immediate discharge, but are often not sick enough to be admitted as an inpatient. These patients are increasingly being treated as outpatients in observation units. Most patients being observed in these units stay from 17 to 24 hours, but no more than 48 hours. Common complaints in observation units consist of chest pain, fainting, fluid and electrolyte disorders, abdominal pain and TIAs, among other conditions. 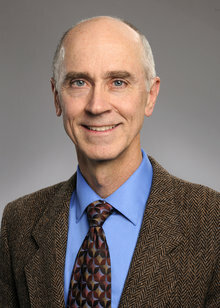 Michael A. Ross, MD, professor of emergency medicine at Emory University School of Medicine and medical director of Observation Medicine at Emory Healthcare, and his co-authors, compared patients cared for in "type 1"observation units, which are defined as dedicated observation units with defined treatment protocols. They used 2010 data from local, state and national clinical settings to examine findings. The local type 1 observation units observed in this study were at Emory University Hospital, Emory University Hospital Midtown and Grady Memorial Hospital, which are all staffed by Emory emergency department physicians. "While avoidable emergency department visits are a common focus of national health policy debates, we chose to look beyond that to a much larger emergency department policy issue - that is avoidable hospital admissions," says Ross. "Avoidable admissions are likely to have a greater impact. "When comparing data locally, statewide and nationally, we determined that patients cared for in type 1 observation units have a 23 to 38 percent shorter length-of-stay and a 17 to 44 percent lower probability of subsequent inpatient admission, with $950 million in potential national cost savings each year. Furthermore, we estimate that 11.7 percent of all inpatients admitted across the U.S. could be treated in a type 1 observation unit, with possible savings of $5.5 billion to $8.5 billion annually." Other benefits for patients who are cared for in observation units include better clinical outcomes, greater patient satisfaction, less diagnostic uncertainty and improvements in the use of hospital resources and staff. "While emergency departments are the safety net of the health system, observation units are the safety net of the emergency department, providing benefits for both the patients and the hospitals they serve," says Ross, who is the director of the Emory University Hospital Clinical Decision Unit, a type 1 observation unit. "Type 1 observation units are designed to provide the best outcomes for observation patients. Just as critical care units are designed to provide optimal care for critically-ill patients, type 1 units are designed for observation patients," Ross explains. "While these units are designed to shorten lengths-of-stay and lower hospital costs, the savings may also benefit the patients, by potentially decreasing the out-of-pocket costs associated with prolonged observation visits." According to the researchers, 37 percent of all admissions from the ED spend less than two nights in the hospital, and 23 percent of all ED admissions have a type 1 unit-eligible diagnosis, meaning those patients could avoid inpatient admission. Two-thirds of U.S. hospitals deliver observation services without using an observation unit. For most, it is in a type 4 setting, a bed in a hospital with unstructured care provided at the discretion of the treating physician. A type 3 setting consists of a bed in any unit using structured, condition-specific protocols. The remaining one-third of hospitals have a designated observation unit, which is typically adjacent to the ED. Half of these hospitals (one-sixth of all hospitals) use condition specific protocols (type 1 setting); the other half do not (type 2 setting). This review looked at the benefits of type 1 units, which are usually found in large hospitals located in urban areas and are often teaching hospitals, like those within the Emory system. The authors point out that to encourage hospitals without observation units to adopt them, payers would need to create payment incentives for care provided in type 1 observation unit similar to what they have done with other types of emergency visits. Observation units within Emory Healthcare are in demand and stay busy. Emory University Hospital has an eight-bed observation unit. Emory University Hospital Midtown had eight beds during the time of this study, but has since added 10 beds to make an 18-bed unit. At Grady Memorial Hospital, 8 beds were in use at the time of this study, but 12 beds have been added, creating a 20-bed observation unit. Other Emory co-authors include: Jason Hockenberry, PhD, assistant professor of health policy and management at Emory’s Rollins School of Public Health; Matthew Wheatley, MD, assistant professor of emergency medicine and Stephen Pitts, MD, MPH, associate professor of emergency medicine.